We are a full service shop with interior designers on staff! 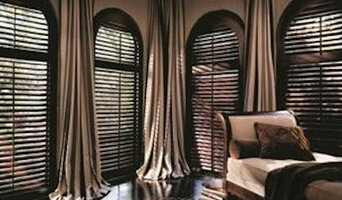 Anything from custom blinds, shades, plantation shutters...to bedding, pillows, custom draperies, upholstery and more! Our showroom displays many products and we have hundreds of fabric books to look through. Founded in 2017, The Blinds Side would like to introduce ourselves to Charm City! We are a local window treatment business that caters to both custom as well as off-the-shelf blinds and shutters for homes and businesses. I’ve been in business since 1976. We know the full spectrum of window coverings, the positives and the limitations. Let us recommend the correct treatment for your requirements and your desires. We provide fabric treatments (drapes, swags, cornices) as well as wood shutters & blinds, solar shades, shadings, cellulars, custom bedding, headboards, pillows, and any item using fabrics. We can create motorization on many products and offer a full line of decorative hardware: traverse rods, poles rosettes & more. Our satisfied clients are our greatest asset. References are cheerfully furnished. Would you like to see our work in person? We can arrange it! Distinctive Designs offers a one stop shopping solution for all your custom window coverings and home accessories need. 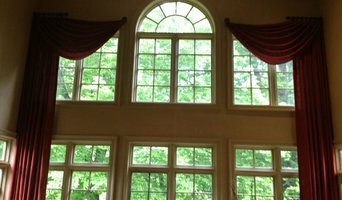 Beautify your bare windows with stunning custom soft treatments. We can make anything you can dream up, but if you need somewhere to start, visit our Portfolio on our website. 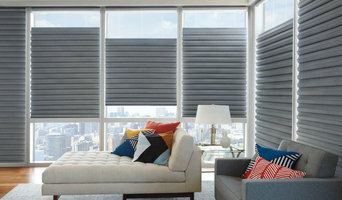 Authorized dealer of the most popular brands of window shades and blinds from Hunter Douglas, Comfortex and Norman Shutters. We carry multiple lines of designer fabrics and a large selection of drapery hardware. Let our computer rendering software helps visualize your new window treatments. We strive to make the entire process smooth, painless, and enjoyable. Visit our website at www.distinctivedesignsbytran.com for more design ideas and how to get started. Daniels & Van Meter, Inc.
Plantation Shutter sales and installations. I'm an Interior Designer with Window Treatment expertise. MICA educated, I enjoy creating the latest window designs with my clients. Smith & Noble provides a curated selection of textiles, hardware, solar / roller materials, shutters, blinds, architectural cornices, etc. which are constantly tested and improved. My other pursuits: family fun, photography, international travel, water "sports". As an In-Home Designer, I love directly collaborating to bring style, function and enjoyment. The Fabric Loft, owned and operated by Lisa Shull, has been providing excellence in the decorating business for over 20 years. Custom window treatments, pillows and bedding are our specialty. We have 1000’s of fabrics for you to choose from. Some fabrics are on display to give you a feel for what they would look like hanging as draperies and we also have fabric books to look through. There are endless choices of different fabric in the books. Some are catalogued by color and others are grouped by their type of fabric. We can manufacture anything you need regarding fabric: draperies, bedspreads, tablecloths, and pillows. We also have a great selection of drapery trim and drapery hardware. We offer personalized service to all our customers, helping you choose both fabrics and designs for decorating your home. We can come to your home for a consultation and bring you some fabric samples, or you can take our books home and see how the fabrics look in your home in the daylight and evening light. We provide measuring, installation and pick up of furniture to be reupholstered. We realize that most people require about three visits before making their decision and we will guide you along the way, making suggestions about color, style, texture and help you pull everything together. 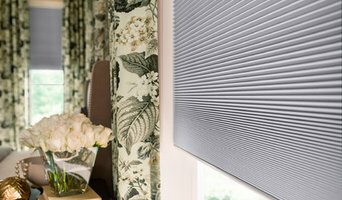 We are educated and knowledgeable in the current trends in the hard and soft window treatment industry. We offer expert manufacturing of draperies, valances, bed coverings, slipcovers, benches and window seats. As well we offer products such as verticals, wood blinds, shades and shutters. Our great selection of fabrics, decorative trims and drapery hardware comes from over 50 sources and will surely impress the most discerning shopper. We invite you to call us today and let us help you begin your design process. At Budget Blinds Serving the Main Line, we bring you attractive window treatments that are sure to impress any guest but, more importantly, we bring you an unmatched level of service. It all starts with our free in-home consultation. Here are some things you can look forward to with a simple call: A friendly Budget Blinds Style Consultant will bring the window treatment showroom to you. You can explore the choicest window coverings in the Main Line, Philadelphia by sampling a multitude of fabrics, materials, colors and options, all in the comfort of your home. Receive expert advice on what types of window coverings will complement your existing décor View our portfolio of work to learn how different materials and colors can change the lighting and mood of your rooms. Yours By Design is a home decorating business based in Chester County, Pennsylvania. We opened in 2001. We specialize in custom window treatments, bedding, and upholstery. Additionally, we have excellent resources for wallpaper, interior painting, and decorative/faux painting. We decorate homes (and the occasional small business) across Philadelphia, Chester, Montgomery, Bucks, Lancaster, and Berks Counties. We would also be interested in decorating your Jersey Shore vacation home. Better Blinds is your local expert in custom window treatments, motorization, and child safety. We are committed to providing the highest level of installation and service available. We focus on selling you the perfect product that will not only look great but provide the function you need. Child safety is also a major concern we offer cordless options on all of our products! Custom Drapery & Upholstery Workroom Exclusively To the Trade. Everything Manufactured Here at Our Shop. Call or Email for Price List. CoCo Curtain Studio was started by two woman who shared a view that elegant fabrics and design should be available at reasonable prices for all. Joan Flynn and Mary Gorman now each own and operate their own storefronts and collaborate on purchasing and fabrication to keep prices affordable, often purchasing in bulk and passing those savings onto you. CoCo Curtain Studio sells designer fabrics and custom upholstered furniture. 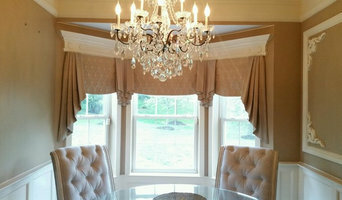 We sell custom labor to turn beautiful fabrics into beautiful draperies, valances, shades, and other finished products. In our stores, fabrics are made into beautiful finished panels, many lined and interlined. We help to color coordinate to make decorating easy. We even come to your home. Now, CoCo Curtain Studio buys directly from the same mills and print houses as Designer Market places. We offer an extraordinary value.